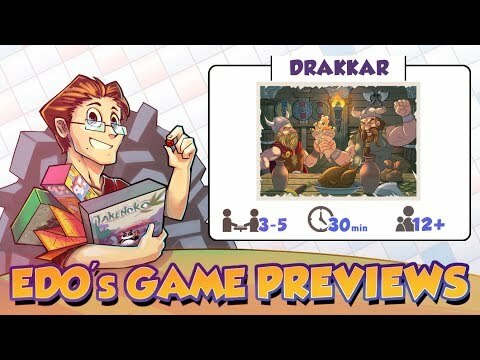 Drakkar: The card game társasjáték - Magyarország társasjáték keresője! A társasjáték érték! 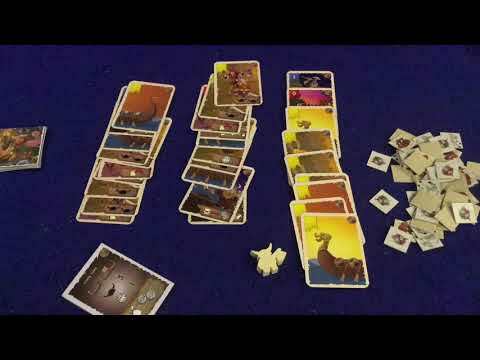 A Drakkar: The card game egy nagyszerű társasjáték, 3 - 5 játékos részére, az átlagos játékidő rövid, csak 20 - 30 perc. A társast, 12 éves kortól ajánljuk kipróbálni. A játékmenet erősen épít az egyidejű akciók és a pakli tervezés mechanizmusokra. In Drakkar: The Card Game, a fast and fun game with a great interaction between players, you are the leader of a Viking village who must collect and steal resources such as goats, weapons, and gold to show you are the strongest Viking on the island! Will you be a Viking worth the favor of the gods? During each turn, you use your own cards and the ones that you steal from rivals to build your ship, hire your warriors, and store your beer. Now you're ready to sail and pillage! At the end of the game, each loot card is worth one victory point regardless of the type for a Viking, a goat, a weapon, or a gold coin have the same value! Additionally, you collect one additional point for each trio (goat, weapon, gold). After three complete rounds, whoever has the most victory points wins!